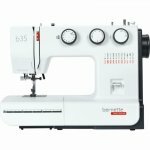 The inexpensive sewing machine for beginners which includes 23 stitches and 7 presser feet. The bernette 35 is a mechanical sewing machine with no computerized controls. The width, length and pattern of stitches are easily set by turning the three knobs. Tension can be adjusted during sewing by using an easily accessible wheel. 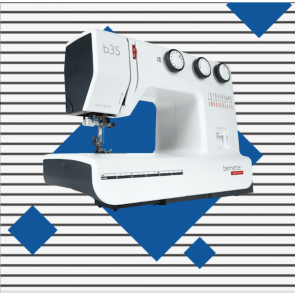 The bernette 35 has an automatic one step buttonhole function which is quick and easy to use. 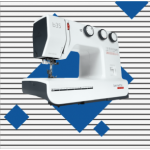 Automatic buttonhole allows you to sew professional buttonholes quickly and easily. This machine is available for pick up in our store or we are happy to ship it within the Continental USA.